I thought it might be a nice idea to give our customers and potential customers a rough idea of what it cost to letter a commercial vehicle. 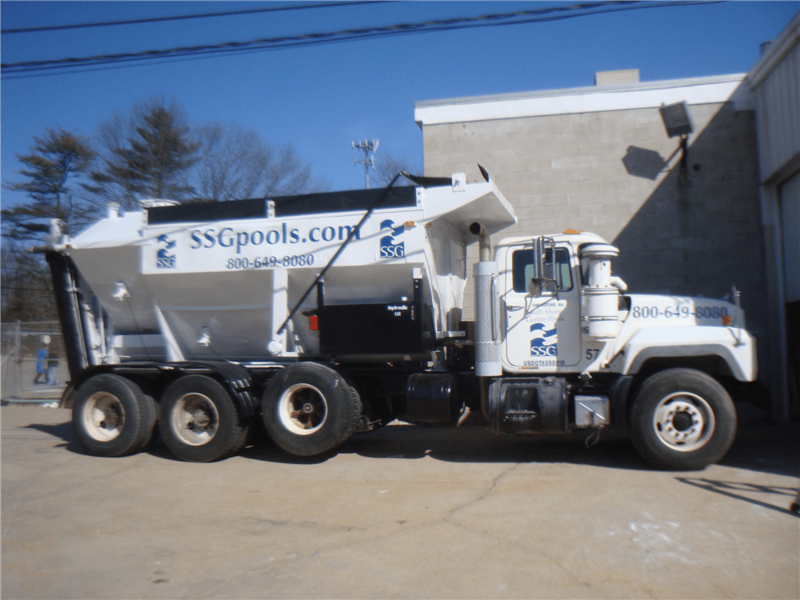 There are so many different types of vehicles from 18 wheelers, box trucks and utility trucks to vans, mini vans and pickups not to mention equipment like mowers, bulldozers, etc.. You can keep it very simple with the minimal amount of vehicle lettering required by the DOT to drive on the highway, or in Boston for example. 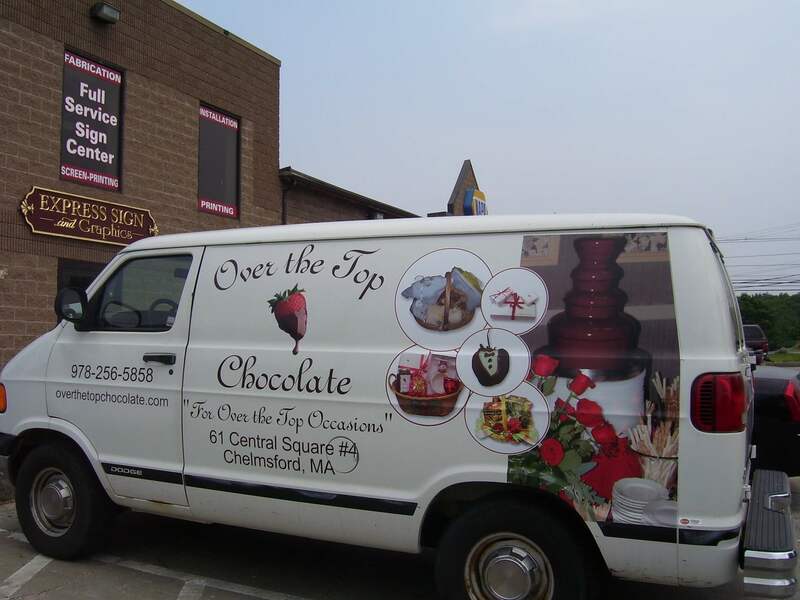 Or, you can make a real advertising statement by going all out with a vehicle wrap. Many of our customers want something simple. 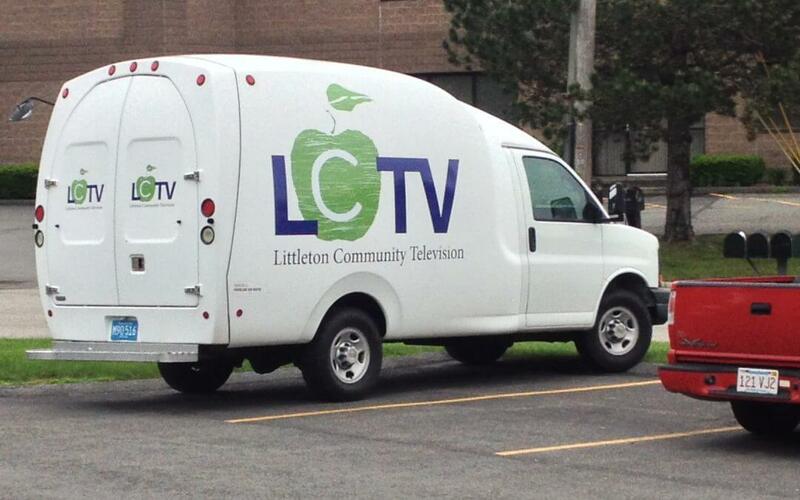 Enough lettering to get their advertising message on their vehicles without looking like a driving billboard! Below, are some examples basic lettering jobs which run around $150 – $400.00. 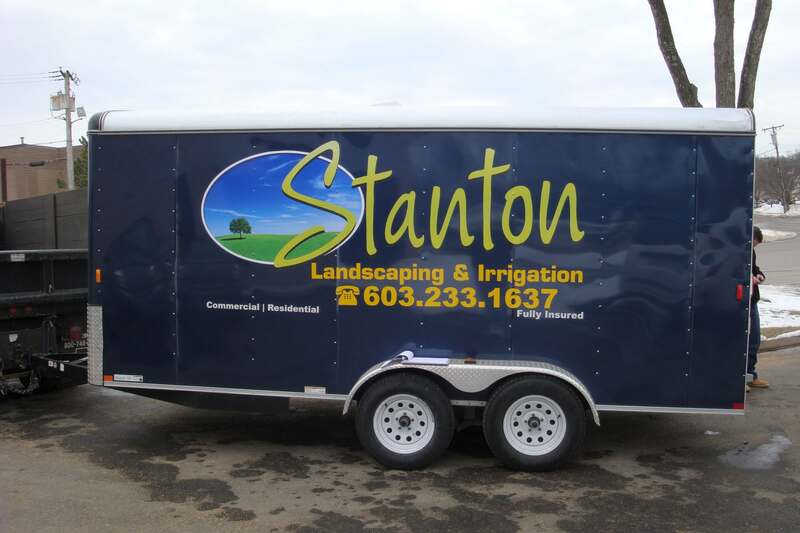 Some of the things that effect the pricing of truck and vehicle lettering projects are number of colors, full color graphics, lettering sizes, specialty films (such as mirror vinyl, reflective vinyl or leaf style vinyl), rivets (usually on trailers and box trucks) and whether you bring your truck to us or we come to you. 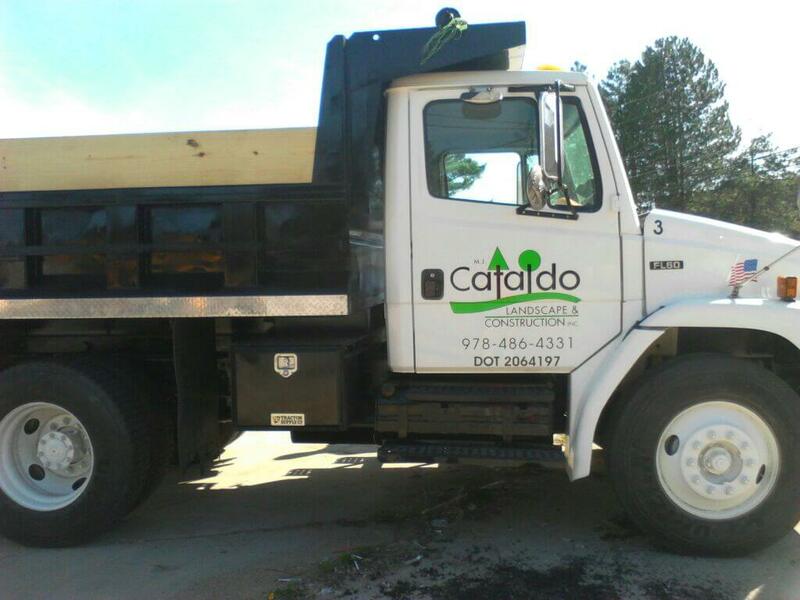 We letter vehicles for all types of businesses such as; contractors, landscapers, delivery companies, transportation companies, and more. 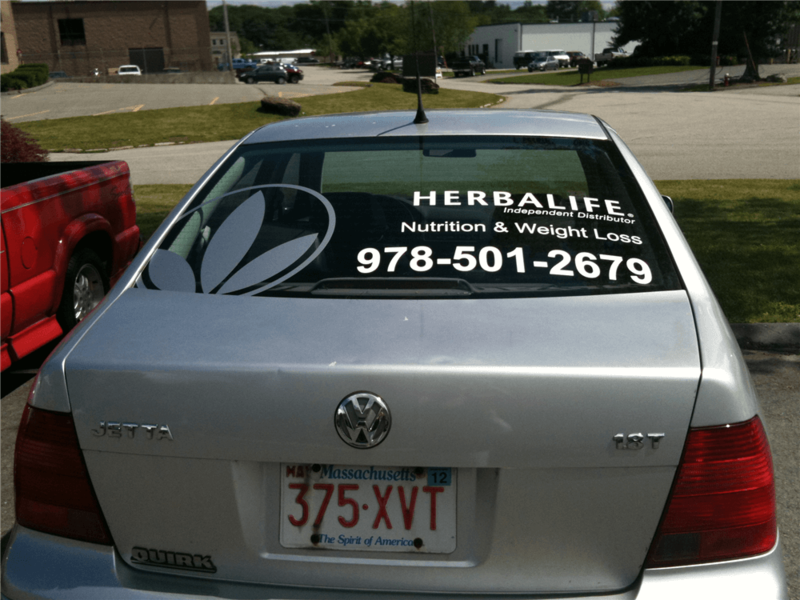 Virtually any business can benefit from advertising on their vehicles. Below are some examples of vehicle lettering that are a little more elaborate and in the $500 – $1000 price range. As you can see, there is more coverage, additional information such as taglines, products offered, full color logos or specialty films. Again, these additions make your truck lettering work harder for you and offer a great return on the investment. Want to really make a statement? These trucks were around $1,000 – $1,800 and really grab your attention when driving by. 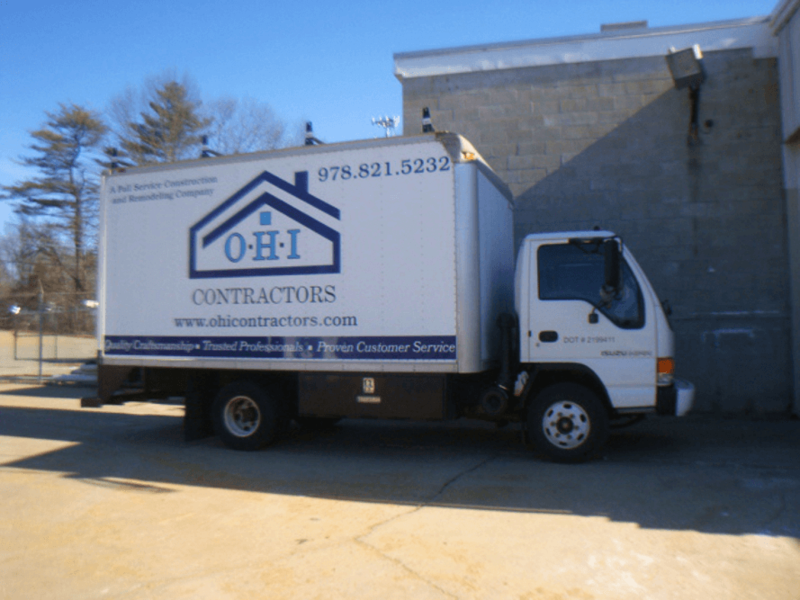 Full color graphics, large logos and lots of coverage make these trucks driving billboards for your business. They set you apart from the competition, showcase your product and capabilities and let people know how to get in touch with you. 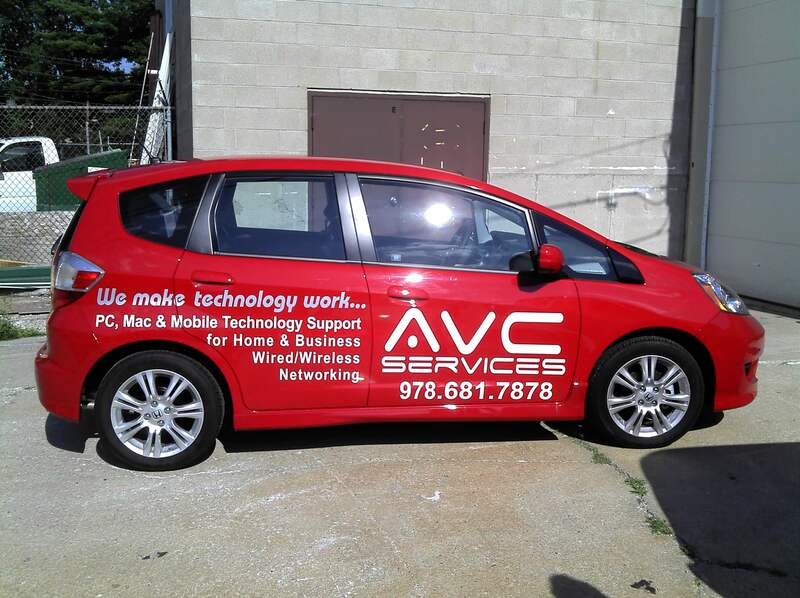 As you can see, images, wraps full or partial, full color or Pantone match graphics and a lot of coverage do increase the cost for lettering your vehicle, but make a big statement and provide and excellent return on investment. 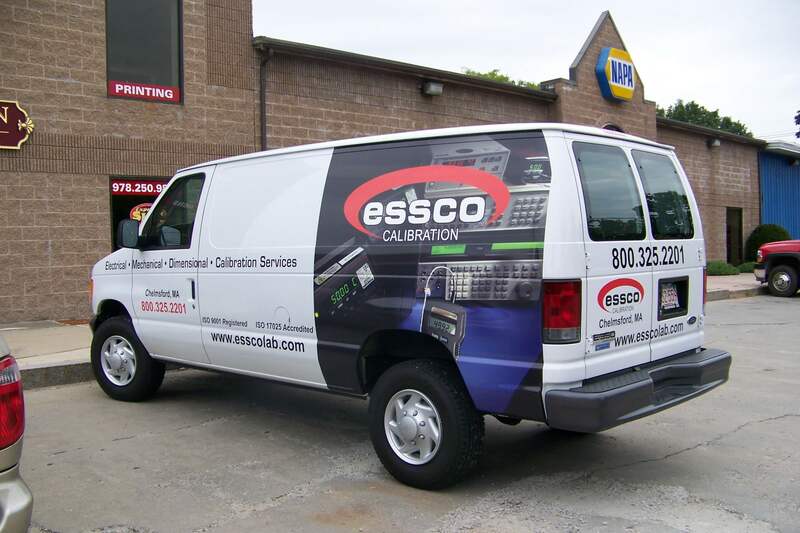 When your vehicle is on the road or on the job site all day, you have a constant source of advertising that works. Looking to extend your vehicle advertising campaing? 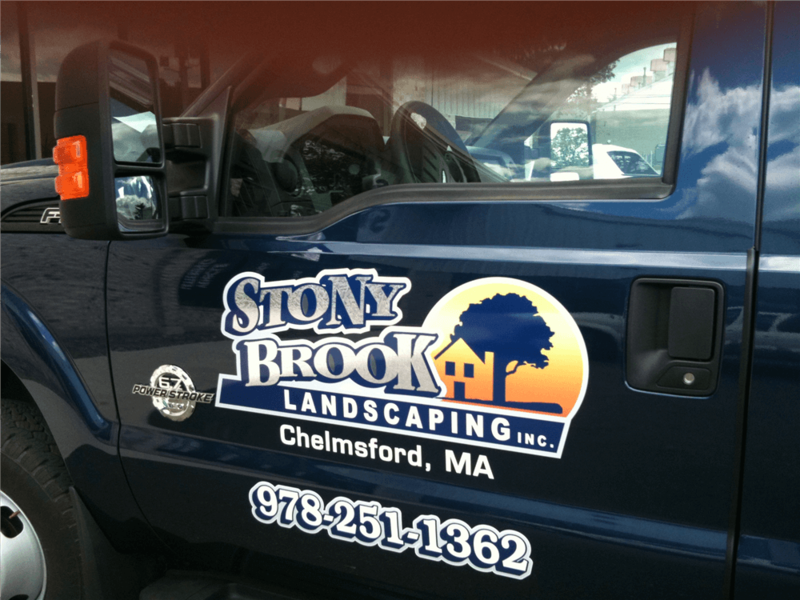 We don’t letter just trucks and commercial vehicles. We also letter equipment, racecars, boats, motorcycles, trailers, and so much more. Have a vehicle or fleet of vehicles you need lettered? 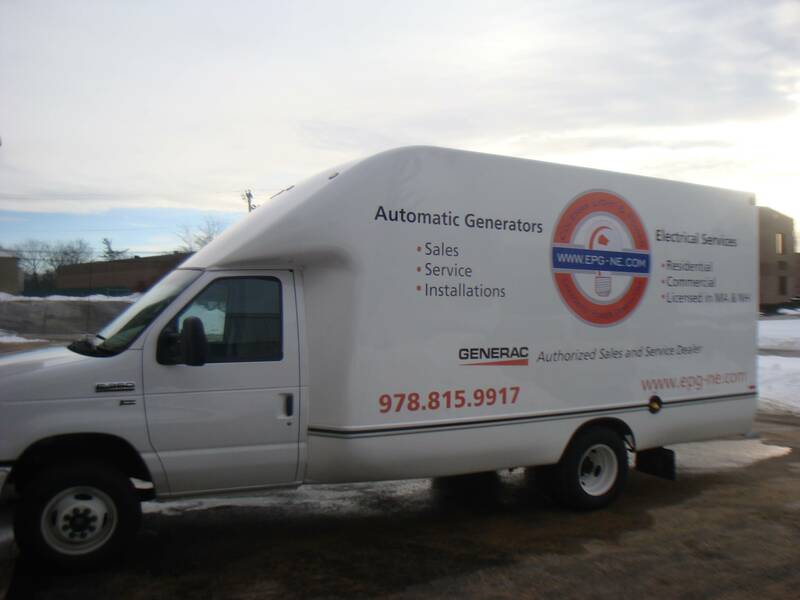 We are happy to get you a fast quote and get your vehicles in and out of our facility Fast. 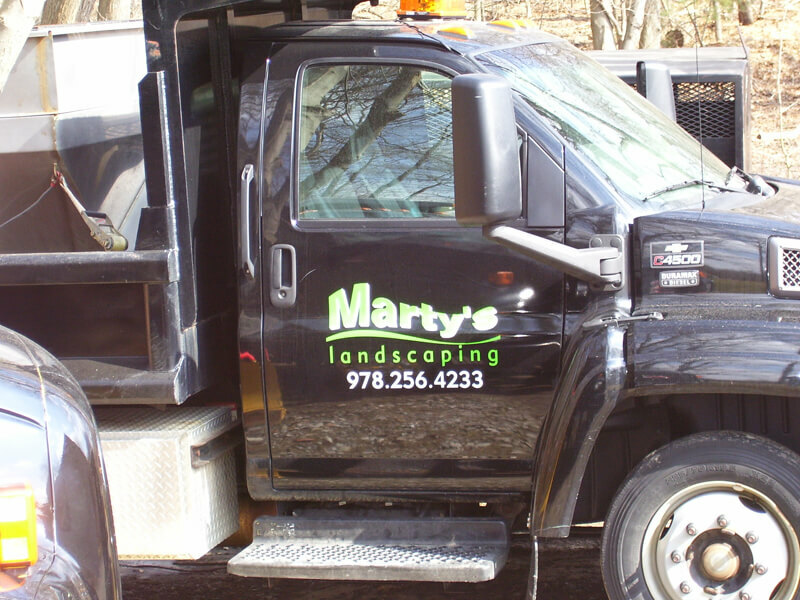 Our staff is great at designing an effective Truck Lettering and VehicleLettering or recreating lettering you already have on another vehicle. We also offer onsite (at your location or even on your jobsite) service. Are you a Do-It-Yourselfer? 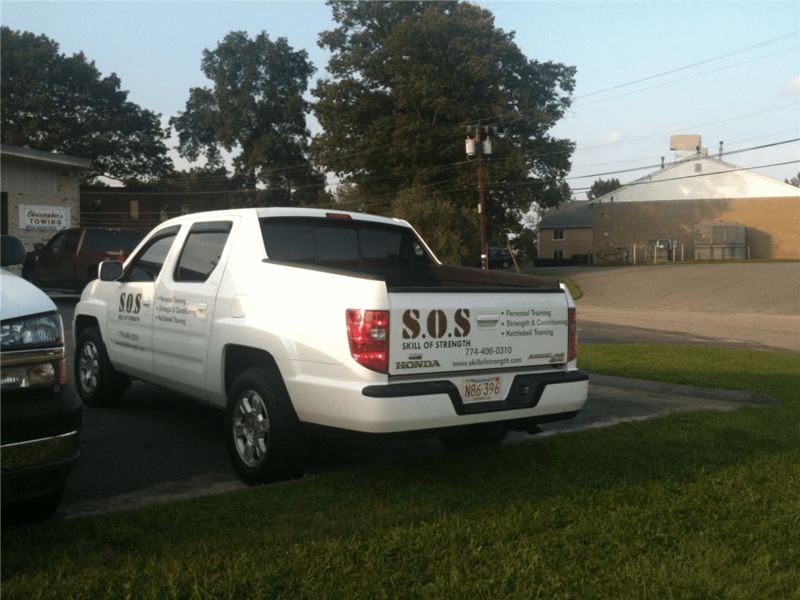 Call us (978.250.9890 or 1.877.SIGN123) for Vinyl Decals and Full Color Decal printing/cutting. We are happy to help and promise fast service with a smile! 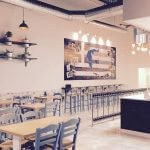 Our products include 5, 7 and 9 year Oracal vinyls as well as full color graphics printed on high quality vinyl with lamination and contour cutting available. For those who want temporary lettering on their vehicles check out our Magnetic Sign page. 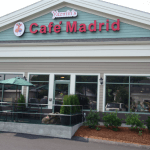 We can fabricate full color or vinyl lettered magnetic signs up to 2′ high by any length. 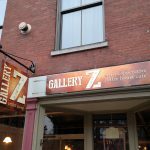 Call: 978.250.9890 or email: info@signs123.net.